Almost half of RCLCO Sentiment Survey respondents believe that the current expansionary phase of the cycle is likely to last for at least another two years. Most product types exhibited little cycle movement since six months ago, remaining in the stable phases of the real estate cycle. Nearly half of respondents believe that retail is already in downturn, and almost half predict that multifamily will be in downturn within the next 12 months. However, these predictions have changed very little from the midyear 2017 survey. 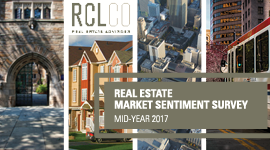 RCLCO’s outlook for generally positive, though moderating, operating and investment performance through 2018 is consistent with the majority of survey respondents. As detailed in Part 1 of the Sentiment Survey (read it here), respondents to RCLCO’s latest Market Sentiment Survey are feeling more optimistic than they were six months ago, with most seeing continued stability in market conditions for the near- to mid-term. 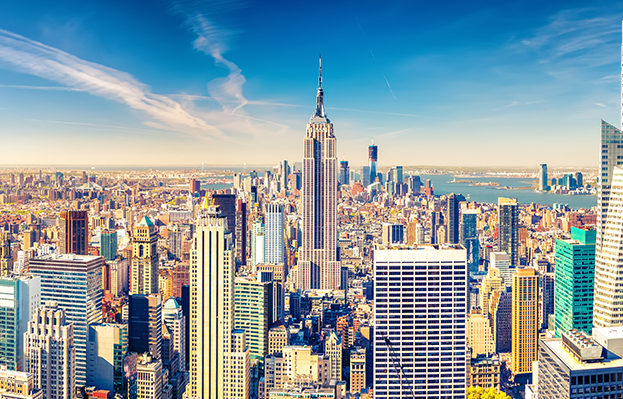 Almost one-half (45%) of respondents believe the next U.S. real estate market downturn will not begin until at least 2020, and current sentiment is more positive than it was a year ago. Consistent with this overall sentiment, respondents predict that all product types will continue to mature, remaining in or transitioning to a late stable phase of the real estate cycle within the next 12 months. Respondents think that retail and apartments are the farthest along in the cycle, and close to one-half believe that retail is already in the downturn phase. Consistent with the slight improvement in sentiment since RCLCO’s midyear 2017 survey, respondents report little to no cycle movement for most product types over the past six months, with all products either in or creeping towards the late stable phase of the real estate cycle. In this survey, office and resort/second home product types both moved into the late stable phase, with industrial and age-restricted land uses inching closer to this phase. Hospitality, land, for-sale residential, and seniors housing exhibited almost no cycle movement. Sentiment for resort/second home moved the most, though still not very rapidly, as it broke into the late stable phase of the real estate cycle. While all land uses progressed slowly in the cycle over the past six months, respondents believe that all land uses will be in the late stable phase within the next six months. Retail and multifamily are expected to be the furthest along, sitting at the top of the cycle and edging closer to the early downturn phase. 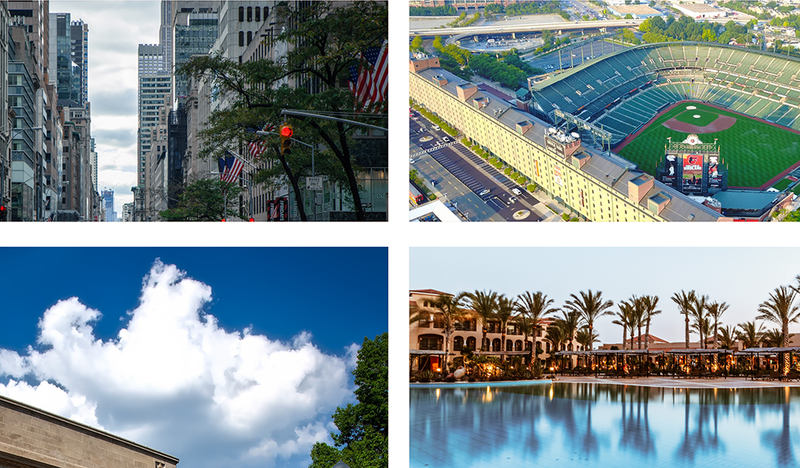 Just behind retail and multifamily, land and hospitality are also expected to move further along in the late stable stage. Most respondents do not believe that product types are already in downturn phases of the cycle. 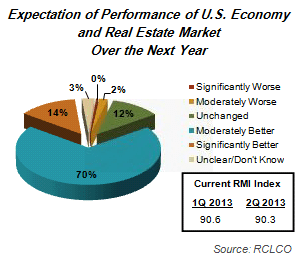 The notable exception is retail, which 47% of respondents believe is currently experiencing downturn conditions. About one-fourth of respondents believe that office (26%), resort/second home (24%), and multifamily (20%) have already reached downturn. 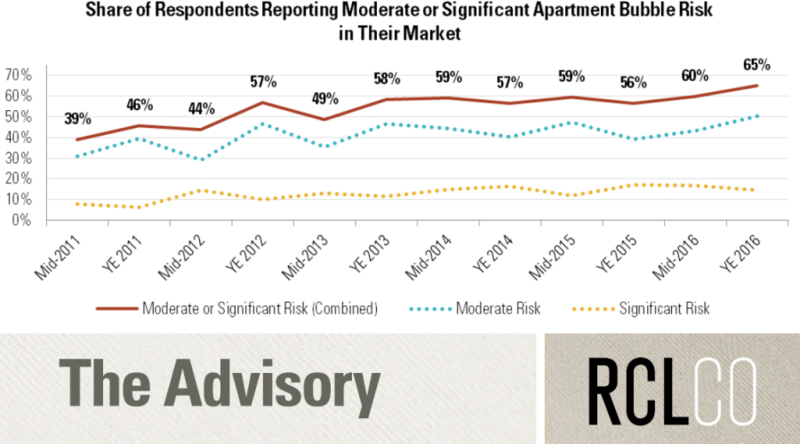 Looking ahead to a year from now, 57% of respondents expect retail to be in downturn (an increase of 10 percentage points), and 45% expect multifamily to be in downturn (an increase of 25 percentage points). Approximately 15% of respondents expect resort/second home, land, for-sale residential, and hospitality to move from stable to downturn in 2018. Overall optimism for most product types is in line with where it was six months ago; no land uses saw a significant increase in the share of respondents predicting a downturn over the next 12 months. Four out of the 10 land uses—land, for-sale residential, age-restricted, and industrial—experienced a decrease in the share of respondents predicting downturn conditions 12 months in the future. The optimistic prognosis regarding for-sale housing and land is probably attributable to respondents’ assessment that for-sale housing markets will continue to be strong, despite the moderately adverse impacts of the new tax law that many respondents expect in high- tax and high-price markets, as discussed in Part 1. Multiple metrics and indicators continue to suggest that we are in the “late stable” stage of the market cycle for most property types in most geographies, which is generally consistent with survey respondents’ sentiments. We continue to have limited reason to fear an impending or sharp downturn in real estate performance, though there are some signs of moderate distress in certain property types and geographies. Our “base case” scenario for real estate performance assumes these “late stable” conditions continue this year, though we are wary of potential “left tail” events that could derail this trajectory. On balance, we anticipate moderating, though still generally positive, operating and investment performance for 2018, resulting largely from a strong economy and healthy property market fundamentals. Overall Market Fundamentals: Economic and demographic drivers are still increasing demand, though construction activity is catching up in most products and market areas. With inventory at or near equilibrium with demand, operating fundamentals are positive but moderating. At this stage in the cycle, significant increases in rents, occupancy, and prices may be more difficult to achieve. Product Type Prognosis: Rental apartments, for-sale housing, CBD office, and hospitality investments continue to hover around “peak” conditions, while other property types continue their steady marches toward maturity at varying paces. Only retail is following a unique trajectory given changing consumer behavior and preferences and the impacts of e-commerce; market fundamentals have steadily improved during this cycle due to very limited construction, but demand from retailers seems very uncertain—leading investors to pause while the proverbial knife continues to drop. For-sale housing markets are generally strong, though high land, labor, and entitlement costs are pushing prices out of line with income growth in some markets. As discussed in detail in Gregg Logan’s recent RCLCO Advisory article, “Impact of the Tax Bill on Real Estate,” the homeownership rate, which declined as more households have chosen to rent following the Great Recession, has been slowly recovering. However, this trend may stall with the new law given the lower tax benefits of owning. In particular, builders of very high-end homes, and those in high-tax metro areas, may be negatively affected by the caps on deductions for mortgage interest and state and local taxes, as luxury home buyers hesitate as they calculate the tax implications of moving up. This is consistent with opinions of sentiment survey respondents. Tax benefits to middle-income households will be modest in the short term and negative longer term, and that combined with the disincentives to itemize deductions may make homeownership less of a priority for some households who will instead choose to rent. Rental supply has reached equilibrium in most markets, and exceeds it in some; we expect NOI growth—and asset pricing—to moderate. Consistent with sentiment survey respondents, we expect the new tax law to have modestly positive impacts on rental housing to the extent that it makes homeownership less of a priority. In particular, single-family rental properties—especially emerging “built-as” rentals—appear to be winners under the new tax law, as more households who want single-family homes may conclude that it makes more financial sense to rent rather than buy; we expect this to be one of the best market opportunities in the next few years. Even with the positive impacts of the new tax law, we anticipate that multifamily absorption, occupancy rates, and rent growth rates will continue to weaken in markets that are suffering indigestion from new development, and more markets may be joining the list of affected markets in 2018. Conversely, as sentiment survey participants responded, low-income housing tax credit (LIHTC) apartments may lose some of their attractiveness, adversely affecting affordable housing development. New deliveries have been exceeding absorption, so we expect to see flattening performance in most markets despite continued employment growth. Aggregated office market data, however, probably obfuscates trending bifurcation of the office supply into high-quality, highly desirable submarkets and buildings on the one hand, and submarkets and properties that are moving toward structural obsolescence on the other. Businesses that rely on employees with skills in short supply are engaged in fierce competition with each other for talent and are driving strong demand for attractive office spaces and layouts in dynamic submarkets. 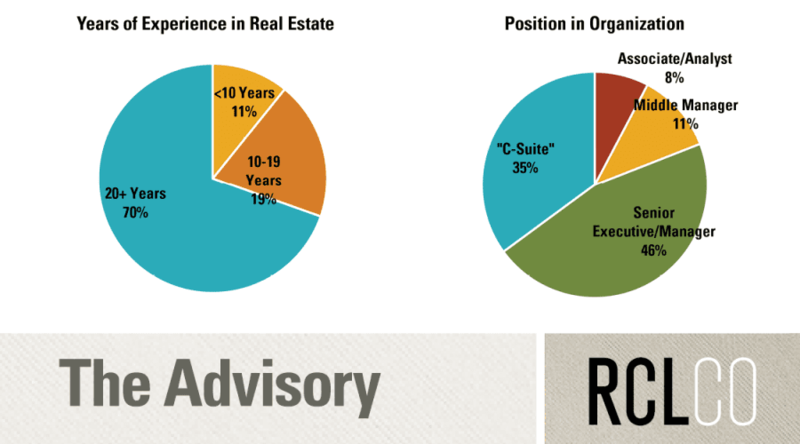 Older office stock in locations without amenities or convenient, preferably transit-oriented, access to where talented workers live are being left behind, and also feeling additional pain as many “back-of-the-house” and other positions are being automated. We believe these trends will be enduring and should drive significant changes in the office landscape in coming years. 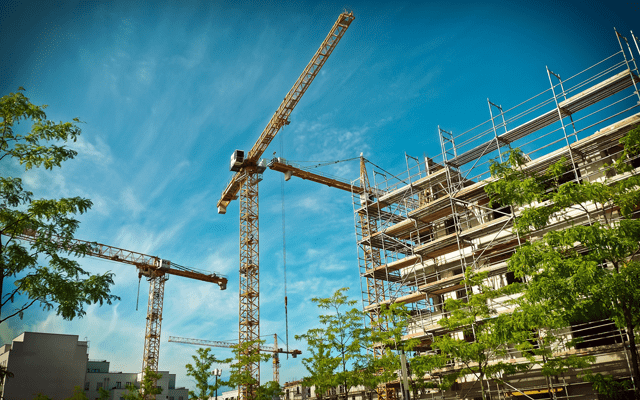 Very limited construction activity continues to benefit operating performance, but certain retail types and locations are suffering from “structural obsolescence,” largely thanks to e-commerce. Neighborhood and community centers have been steadily recovering throughout this cycle, but this may be slowing or reversing at this point. Property market fundamentals appear to be plateauing: the continued lack of new supply has propped up existing centers, but a combination of some new supply and the increasing encroachment of e-commerce into these centers is dampening demand or limiting what tenants can pay. Furthermore, we have not yet seen all of the many ways in which e-commerce will impact grocery and drug stores. This is the healthiest major property sector, as demand continues to outpace new supply deliveries. However, the supply and demand gap has narrowed in many markets. In general, close-in distribution centers have the best market fundamentals, and the market probably cannot deliver a sufficient amount of close-in distribution space without aggressive innovation, such as multistory industrial, 50’ clear heights, and repurposing retail. Amazon’s exploration of delivery by drones implicitly recognizes that it may not be able to acquire enough distribution space in close proximity to households to meet demands for quick delivery. Hotel operating performance continues to be strong, with occupancy just slightly below peak levels even given significant supply deliveries, and RevPAR remaining above peak levels. Employment growth should continue to be a primary driver of hotel demand, and emerging wage growth could give a boost to the leisure segment. However, continued elevated construction activity may start to impact operations in some markets and for some segments—most notably upscale and midscale. Investors seem to be nervous about this ongoing construction activity and eager to take their chips off the table after a long run-up for the hotel business: cap rates have continued to expand, while transaction volume has declined slightly Q-o-Q. Equity: The amount of capital seeking investments continues to exceed available opportunities, but moderating operating fundamentals appear to be neutralizing pressure on asset prices—and fundraising has slowed. However, it remains to be seen whether higher after-tax profits resulting from the new tax law generate more interest in real estate equity investments. Debt: The search for yield and competition among non-bank lenders has been keeping rates low (despite a higher Fed funds rate) and motivating more creative and aggressive loan structuring, with the anecdotal evidence that lenders are permitting the highest loan-to-value ratios seen this cycle. As survey respondents predict, home and commercial mortgage interest rates are likely to increase, at least modestly, in part due to the effects of the new tax law and related indications of some increase in inflation rates. Cap Rates: Cap rates have been driven to low levels by abundant capital chasing limited inventory of available investment-grade property around the world, and we expect rates to remain low as long as interest rates do not move up substantially. Until then, these low cap rates represent the “new normal” because U.S. property is valued globally. Cap rates in the U.S. are higher than in European and Asian markets. We predict that this gap will narrow, so U.S. rates are unlikely to move up significantly unless there is a severe downturn in the U.S. economy, or cap rates around the world move up for one reason or another (most likely substantially higher interest rates). Furthermore, the gap between treasuries and cap rates (for most product types) is currently relatively wide, probably decreasing the impact of higher interest rates on cap rates. As we reach full employment, availability of labor for all aspects of the real estate business (from construction to maintenance and other service roles) will become increasingly tight, likely driving labor costs up and placing pressure on profitability, and creating inflationary pressures on the economy. Labor shortages will be further exacerbated by tightened immigration policies. The conventional wisdom, a phrase that is often used as a prelude to contradict said wisdom, is that the recent acceleration of global economic growth, and the surging U.S. stock market, perhaps fueled further by the recent tax overhaul legislation, may indeed be “adding innings” to this economic and real estate market cycle. Or is it that we just can’t (yet?) imagine anything that would take real estate down in the near term—where’s the bubble? It is important to remember that expansions don’t die of old age, and therefore the economy and real estate markets could indeed continue to improve into 2019 and 2020. However, it is equally important to recognize that the longer the expansion continues, and as volatility and uncertainty increases later in the cycle, the odds increase that an asset bubble or some other unanticipated disruptive exogenous event could derail the current U.S. positive growth trajectory. As the expansionary phase of the cycle continues, it is advisable for all of us in the real estate industry to prepare contingency plans, revisit strategies for the late stable and early downturn phases of the cycle, and be prepared to react quickly to potential alternative outcomes.